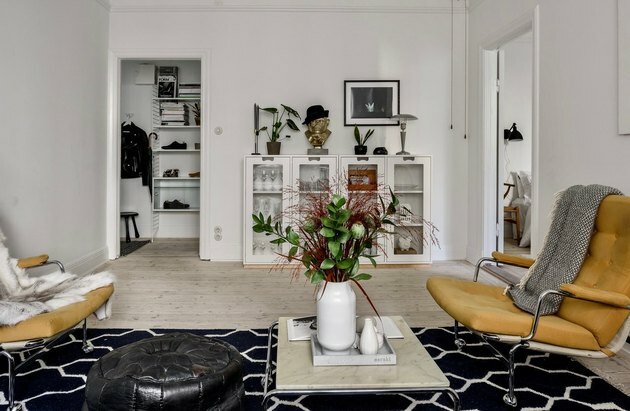 Stockholm is the ultimate destination for design lovers seeking that fabled Scandinavian aesthetic — modern minimalism with an emphasis on form and well-bred function, mixed with organic elements and refined materials. 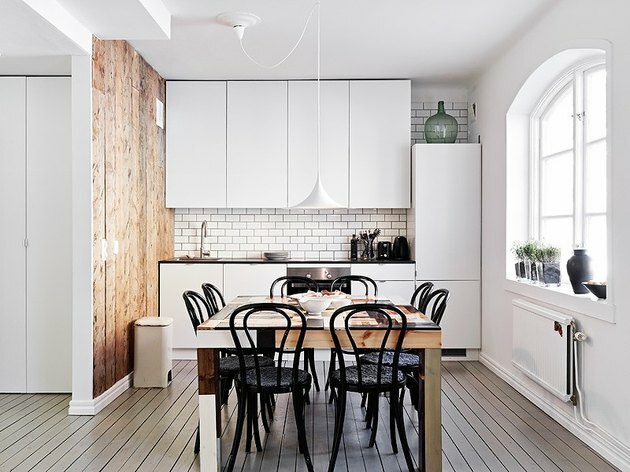 At the heart of Swedish interiors are clean lines, lots of white, soft wood finishes, and textural contrast. The effect is streamlined but never stark. And it's this rare alchemy of simplicity and coziness that ultimately makes it so irresistible. 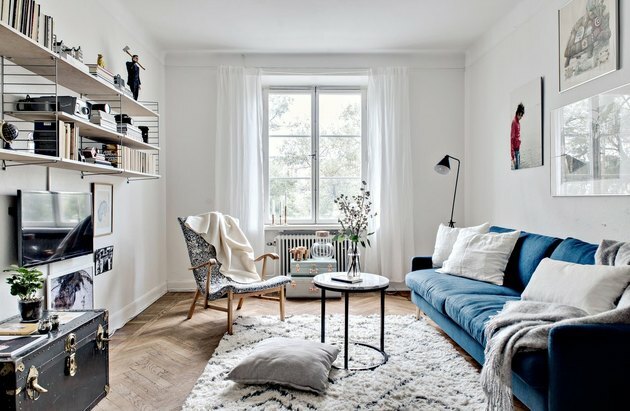 Scroll on for 12 inspired ways to infuse Scandi-chic into your pad. 1. Let there be light and lots of white. Sweden is known for its long, cold, dark winters that can last from October to April. Hence the predominance of white. Gloomy, frigid days are no match for this bright and airy bedroom redux that welcomes warmth with muted tones and natural textures. 2. Infuse function into every day. 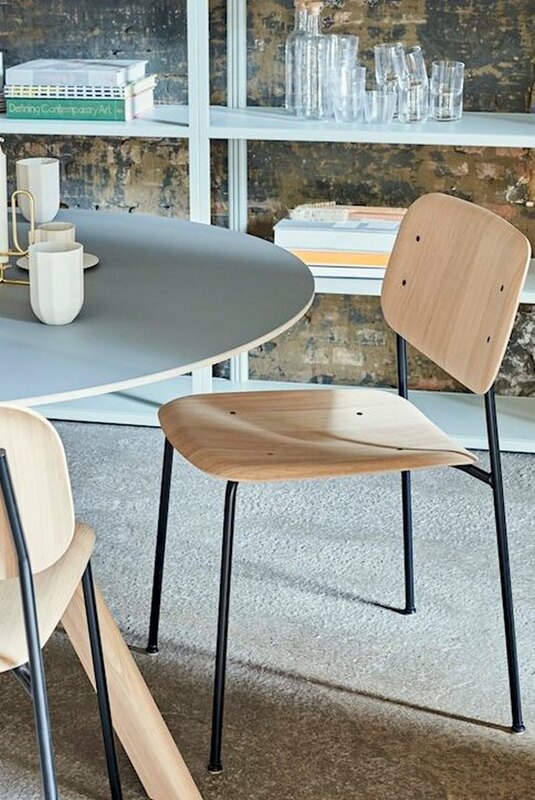 Hallmarks of Swedish design are simplicity, utility, and beauty. This multipurpose dining/workspace hits the trifecta with furnishings that unite efficiency, elegance, and organization. 3. Don’t fear the dark. 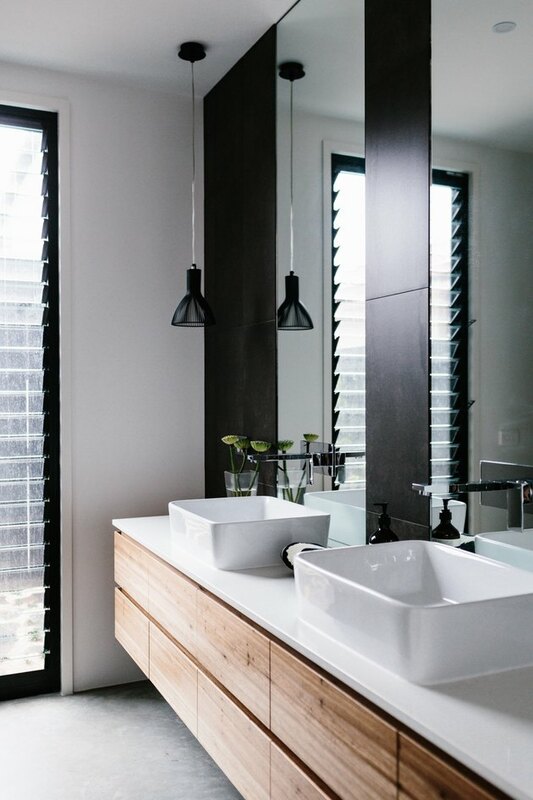 This Australian master bath by Altereco Design balances a moody palette with crisp white walls and a pair of vessel sinks that sit elegantly on top of a bright white countertop. The lighter wood vanity cabinet, which is more characteristic of Stockholm interiors, really stands out thanks to the contrasting black wall tile, window trim, and pendant lights. 4. Utilize texture to your advantage. Texture is a decorating tool not to be taken for granted. 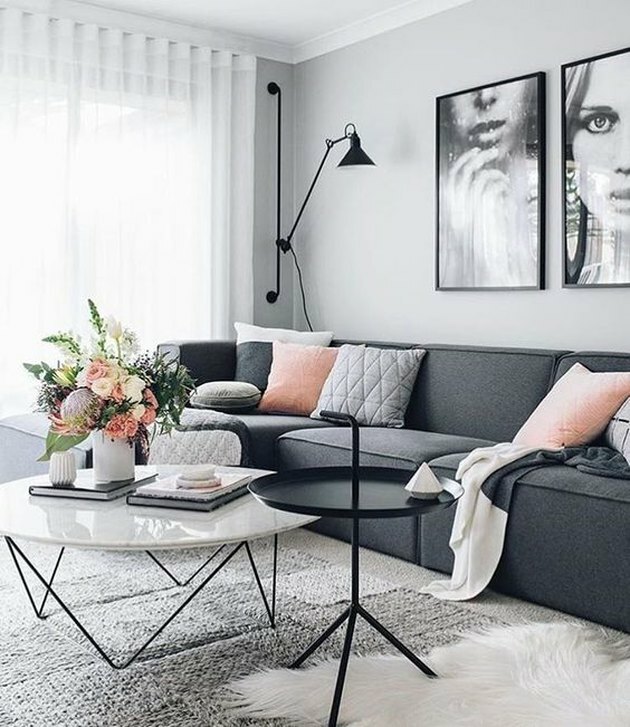 In this case, a sumptuous sofa with accent pillows in various shades of blush and gray, and a loomed area rug topped with a sheepskin throw, adds inviting ambiance to a space that would otherwise could come across as rather stark. 5. Layer elements for a cool, cohesive look. This dining room starts with white walls and whitewashed wood floors. An exposed brick wall and rust-colored accents chairs exude warmth. 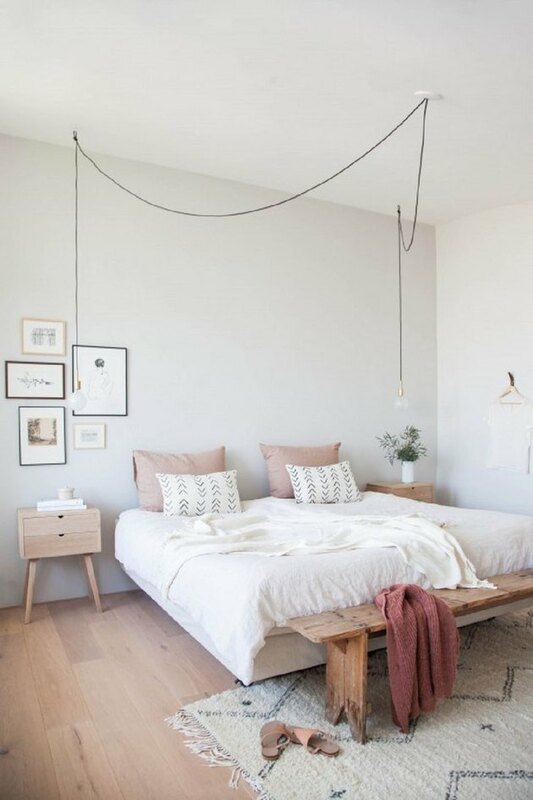 While brilliant natural light and an alluring pendant light create a bright and airy ambiance. 6. Break up the monotony with a pop of color. The antidote to boredom? Bold color. Case in point: These yellow high-back armchairs. The slim metal frame and sculptural construction is inherently Nordic, and the lush greenery throughout pops against the neutral backdrop. 7. Give your kitchen a gourmet upgrade. Craving a modern kitchen? This Stockholm-style culinary space blends functionality and contemporary aesthetics into a clutter-free environment that's tailor-made for gourmet endeavors — and enjoying the delicious fruits of your labor. Sometimes an office can suffer from a rigid, "all work" mindset. But not this Stockholm-inspired space! 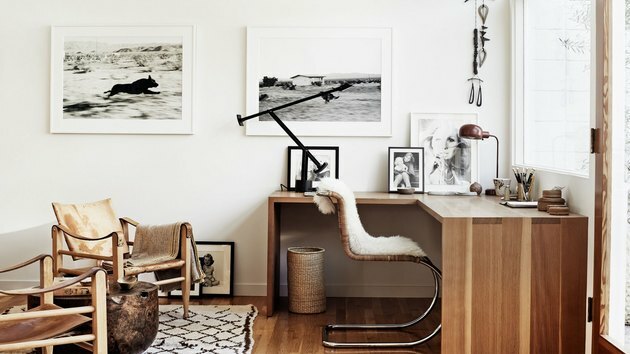 Designed for comfort and style, the Mies van der Rohe cantilever cane chair draped in sheepskin fur makes a dream office chair. There's also an assortment of artwork to embolden creativity and a pair of lounge chairs and a woven area rug for coziness. 9. A little goes a long way. 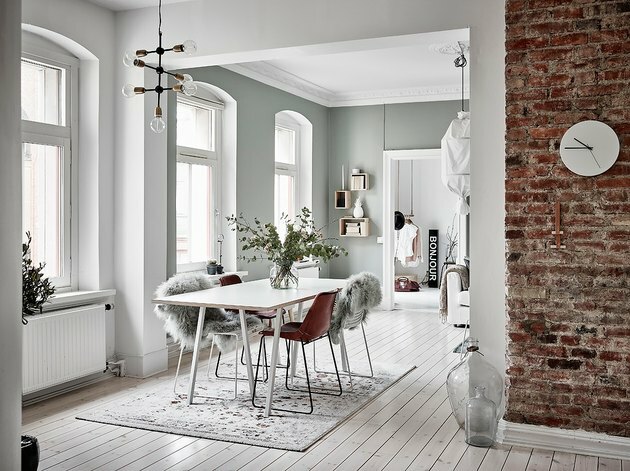 Accents are used sparingly in Scandinavian interiors. 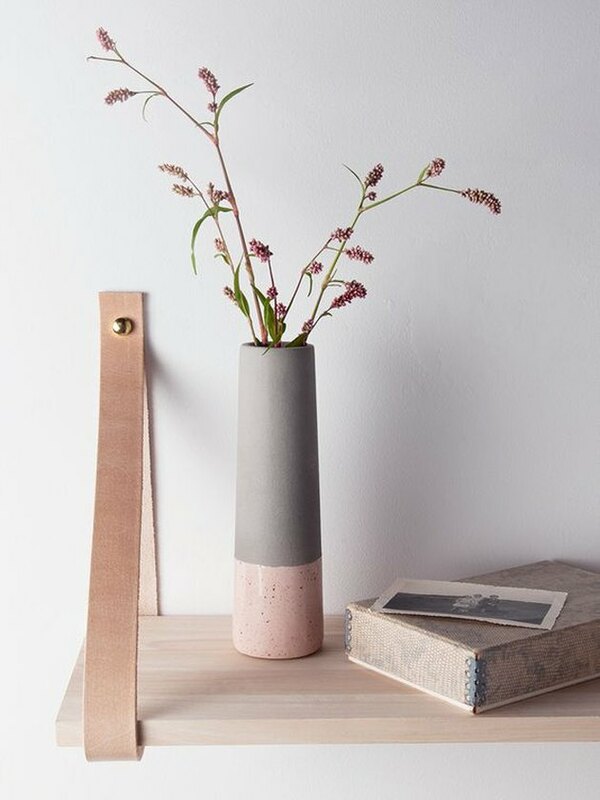 Sleek wood shelves hung by leather straps, adorned with a cylindrical vase filled with delicate floral blooms, are the perfect example of how to create a minimal design moment. 10. Go all in on linear. White walls and warm, herringbone-patterned wood floors set the stage. A no-fuss layout, linear furnishings — open shelving, a sloped arm chair, and a geometric patterned area rug — reinforce the minimally-minded aesthetic. 11. Remember, rules are meant to be broken. Let's just say you fall in love with a slate wall covering. 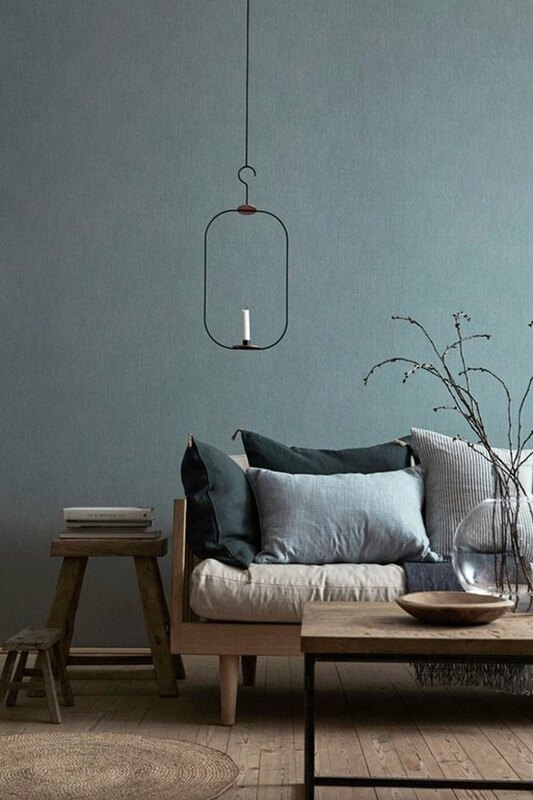 Does that preclude you from embracing Scandi-style (which typically relies on a more subdued palette)? We think not! In this living room, blue-gray walls work beautifully to inject depth, dimension, and tranquility.